NOTE: In addition to being a blogger, wife, mother and cycling instructor, I am also a teacher for kids ages 2-5 years old at the Y where I have developed a class entitled Art Through Stories. I designed this class to introduce the children I teach to books and then using those books to create art projects. I try to help them creatively capture the beauty, lessons, concepts and other learning points within the books through the expression of art. I do this by using various art mediums. The art projects also act a tool to help retell the stories to their loved ones. This title is one that I plan to use in my class. This story draws inspiration from the author taking his son, Samuel, on a walk to the park. He noticed how amazed Samuel was at everything there was to see - especially the trees that towered above him. With artwork depicting these trees that forged such awe in young Samuel's eyes, "The Tree Watcher" takes the reader along on this wonder-inducing walk. Christopher P. Stanley grew up in Grove City, OH and had a childhood that centered around imagination, play, and exploring the outdoors (mixed in with a healthy amount of Nintendo). A large part of his, perhaps over-active, imagination is owed to books - "Where the Wild Things Are", "Vinegar Pancakes and Vanishing Cream", and "every single Dr. Seuss book" made up just a small sampling of the children's books that filled him with wonder - and continue to do so to this very day! Christopher graduated from Ohio Dominican University with a degree in Education, and has been an educator for the past 10 years in both the K-12 and Higher Education settings. He currently lives in Upper Arlington, OH with his wife, Morgan, and their four children - Rylee, Olivia, Lylah, and Samuel - who remind him every day of the magic that is childhood. 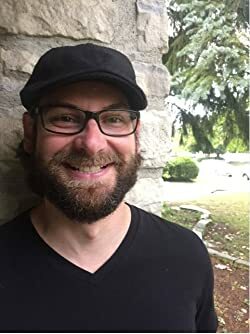 Christopher is an author and co-founder of Jump Splash Books, and he aims to highlight imagination and celebrate the joy of childhood through his stories. He co-founded Jump Splash with his childhood friend and artist Alex LeVasseur, and the name of the company encapsulates their vision - through imagination and wonder, we can find joy; even in something as simple as jumping in a puddle. 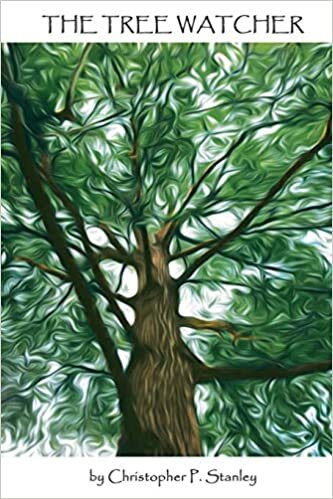 Classroom uses: I plan to use it in my Art Through Stories class and have the kids make a water color trees, as well as a scene of the trees through the seasons. I also plan to use it for Earth Day. Thanks for sharing your book baby with me! It was my pleasure to read and review it!